Do you have the post-Halloween blues? Are you looking for something spooky and scary to tide your wait from now until the next haunt season? Well, if you're in Southern California, you're in luck! Because Reign of Terror has announced a special 1-night only run next month on Saturday, March 10, from 7:00 - 11:00pm. If you've followed along with RoT, you'll know that they do a late winter fundraising event every year that raises money for a local charity or local cause. This year, funds will support victims of the devastating Thomas Fire that ripped through Ventura and Santa Barbara Counties a couple of months ago, becoming the biggest single wildfire in California history. It is an excellent cause and comes with the bonus of being able to experience one of the most immersive, sprawling, impressive, and intense haunted attractions in all of Southern California. 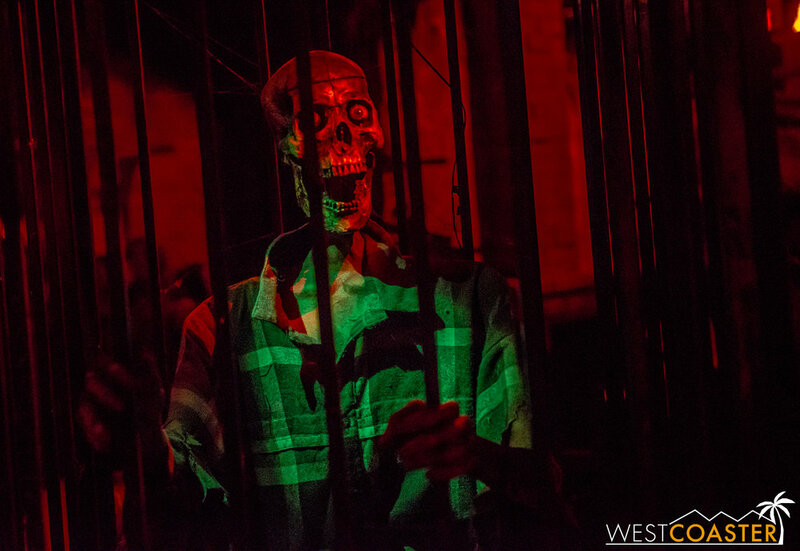 Reign of Terror features eight mazes in one (as they like to advertise), well over 100 different rooms, and a walk-through experience that can take 20-25 minutes. It's been a favorite of haunters and haunt fans for years, and it's fantastic that they're one again opening off season to help a very noble cause. Although Reign of Terror is a bit far frwom most people in the L.A. or Orange County area, it's certainly worth a carpool ride over. Check out our review last year if you want further opinions. Then go to Reign of Terror's web site to purchase tickets (or do so in person, but you'll need cash). (Thousand Oaks, CA) Reign of Terror Haunted House (www.ROThauntedhouse.com), winner of multiple awards as a leading immersive, horror-themed entertainment attraction in Southern California, featuring 100 custom-built rooms in 8 distinct bone-chilling themes, will be open to the public for a one-night special event on Saturday, March 10, 2018 from 7pm – 11pm. For more information, visit www.ROThauntedhouse.com or email us at info@rothauntedhouse.com.